In partnership with Factory 25. Read Filmatique's exclusive interview with Factory 25 founder Matt Grady. 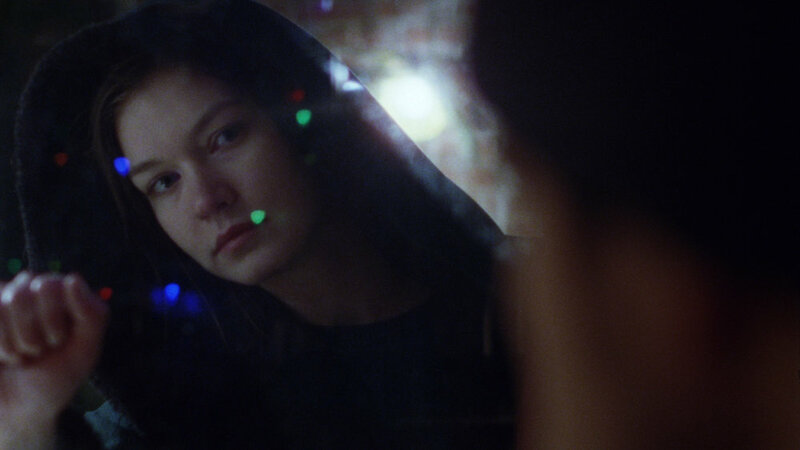 During the month of July Filmatique presents American Indie, a series of five debut films from startling new directorial voices that rupture the tropes that have come to define independent cinema from the United States. This is Filmatique’s first ever collection of American films. Actress-producer-filmmaker Amy Seimetz's atmospheric noir Sun Don't Shine follows two lovers on the lam in Gulf Coast Florida, while a young woman predicts shifts in global financial markets by viewing footage of the forest in Bingham Bryant and Kyle Molzan's strange and stirring For the Plasma. Choreographer Celia Rowlson-Hall's surreal Ma resurrects female archetypes by staging the Virgin Mary's pilgrimage across the deserts of the Southwest, challenging a culture's notions of purity, fertility and the female body. Charles Poekel's Christmas, Again captures the season’s wintry, melancholy mood through the eyes of a Greenpoint Christmas tree salesman while Alistair Banks Griffin's contemporary Southern Gothic fable Two Gates of Sleep chronicles two brothers' journey to lay their mother to rest. Featuring two works by female directors and comprised entirely of first films, Filmatique's American Indie Series spotlights vast and diverse visions of a nation straddled between purity and ruin, tradition and modernity, relativism and truth. Crystal and her boyfriend Leo drive through the endless mangrove fields, trailer parks and suburban panoramas of the Gulf Coast with something sinister in their trunk. They fight ruthlessly, which only reinforces their bond— anyone who comes between them is instantly shunned. The heat and haze of their surroundings seem only to exacerbate Crystal's mounting hysteria. Slowly, clues reveal the precariousness of their past and of their future. Filmed on location in her hometown of St. Petersburg, Florida, actress Amy Semitz's (Upstream Color) feature film debut is an astonishing, atmospheric portrait of two lovers who have, for better or worse, taken destiny into their own hands. Sun Don't Shine premiered at AFI Fest, Turin, Vienna, Maryland, and SXSW, where it won a Special Jury Prize. Helen is a young woman living in the woods of northern Maine. She spends her days watching CCTV monitors, which stream live images of the surrounding forest she is paid to surveil for potential fires. When her college friend Charlie arrives to visit, Helen lets her in on a secret: she has learned how to discern patterns in the global financial markets from the images on the screen. Beginning as a story of unconventional female friendship and ending in a hundred places at once, For the Plasma is a digital-pastoral drama of landscape and technology; a meta-cinematic exploration of the way in which our search for meaning and truth can shape what registers as reality. Bingham Bryant and Kyle Molzan's debut feature premiered at Jeounju, Maryland, Indielisboa, Nashville and BAMcinemaFest. Noel, a melancholy 20-something, has returned for the fifth year to a Greenpoint street corner to sell Christmas trees. He spends the season living in a cold trailer, warming himself by the stove, and contriving of answers to a question his customers keep asking him: "where's that nice girl from last year?" One cold night Noel helps a young woman who has fallen asleep, inebriated, on a park bench. Rather than the start of a romance, his friendship with this stranger perhaps heralds the beginning of a new year. Capturing the wintry atmosphere of New York alongside the eccentricities of its denizens, Christmas, Again is a low-key, naturalistic portrait of an average man attempting to overcome loss. Charles Poekel's first feature premiered at Sundance, Locarno, IndieLisboa, Cleveland, Maryland, and Lincoln Center's New Directors/New Films, was nominated for an Independent Spirit Award and is a NYT Critics' Pick. A modern-day vision of Mother Mary's pilgrimage set against the scorched vista of the American Southwest, Ma deconstructs female corporeality vis-à-vis a journey that is once visceral and surreal. Dancer-choreographer Celia Rowlson-Hall's feature film debut premiered at Venice's Giornate degli Autori, Rotterdam, Maryland, Munich, and Ashland and AFI Fest, where it won the Audience Award.